Paco, Paz, & Pepe are huge proponents of an environmentally conscious lifestyle. 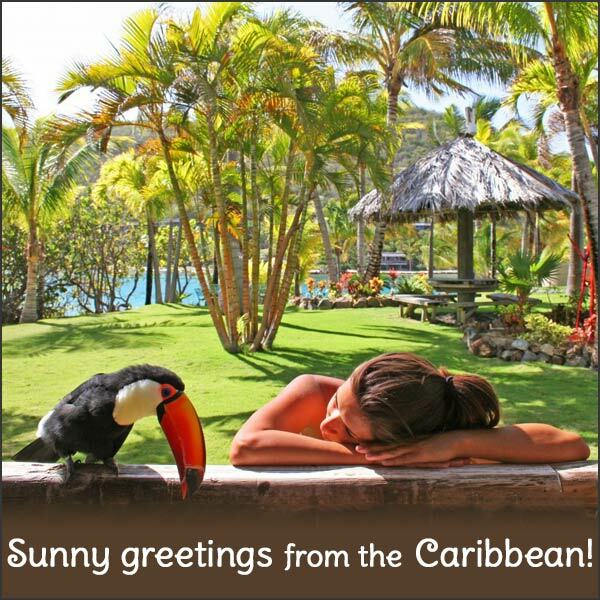 They light their house with the natural rays of the sun, forgo appliances by eating a raw diet, and have even gone paperless – taking care of all of their important correspondence via email (dictated to the Toucan Lady, of course) – all in the name of the green cause. Becoming No Waste Toucans by composting is just one of the many ways they give a respectful nod to their Mother Earth. Did you know that on average, 30% of a household’s waste is compostable? Composting is an incredibly simple way to keep your waste unnecessarily out of over-crowded landfills and recycle by turning your trash into something meaningful that you can reuse. We have been composting the scraps from both our home and restaurant kitchen for about 3 years now. So when we adopted our Three-Cans, it was the natural choice to also compost all of the scraps from their food each day. WHERE : If you have an open space where you can simply block off a patch of earth to compost on, you’re in luck! This is certainly the preferred method, as you get all of the organisms that exist in the natural soil to expedite your breakdown process. But as you can imagine, there is minimal space to be used for composting on our little island and very little native soil – it’s pretty much solid rock once you start digging! But don’t despair if you share our situation – you can still compost! Yay for you! We use large plastic storage containers with holes drilled into the top, sides, and bottom to create airflow and drainage. The containers sit on wooden blocks to allow leakage to easily seep out and provides for easy hosing underneath so that we can keep it clean. HOW : To begin, just start throwing all of your organic materials into the bin. Most of your household/birdie scraps are considered “green matter” – things that are rich in moisture. You will also need to add “brown matter”, or dry stuff, to your composting space to balance out the wetness. This helps to evenly breakdown your scraps and also ensures it does not get too soupy and attract flies. For brown matter, we use the plethora of dead leaves that fall from our almond tree and grass clippings that we save whenever the gardener mows the island. Yes, leftover pellets are compostable! WHAT : There are many sites online that provide detailed lists of what you can and cannot compost. Here is a basic one I found. We compost all of the scraps from preparing the fruit for the toucans which includes seeds, peels, pits, and cores. We also compost whatever is leftover from the toucans’ fruit bowls after each feeding, as well as any uneaten pellets. The easiest way to integrate composting into your routine is to set aside a couple of Tupperware containers that you can store the scraps in your food preparation area. That way, you don’t have to dump your compost everyday – we keep ours in the fridge and dump it into the main bins a couple of times per week. Maintenance is practically effortless – just mix up the pile/bin now and then and before you know it, things will start to look less like food scraps and more like dirt. Another fun by-product of composting is that due to the thriving natural environment within your bin, many of the seeds from your produce will sprout. It just might inspire you to take up gardening and transplant that new seedling to see what it becomes. I find it pretty amazing that you can turn your “trash” into food! We have reaped the benefits of our composting efforts several times over. Nutrient-rich soil is yours free for the taking – join the composting revolution and be a green bird alongside the Toucan Trio. You will soon find that contrary to Kermit’s lamenting, it IS easy being green! This entry was posted in Diet, General Info and tagged Adventures in Toucanland, bird, bird food, birds, Caribbean, Caribbean birds, composting, composting guide, exotic birds, exotic pets, island, Paco, Paz, Pepe, pet, pet birds, pets, Toco, Toco Toucan, Toucan, toucan fruit, toucanland, toucans, tropical birds by Toucan Lady. Bookmark the permalink.